Cloud services are firmly established in the fabric of IT staff operations as necessary and growing ingredients of enterprise computing. No matter your business model or industry vertical, chances are that you've already made strides into the cloud and are looking at additional resources. With that in mind, we offer a roundup of 25 options to consider in your cloud ecosystem -- including cloud services for public, private, and hybrid options, as well as management and monitoring tools. Cloud services are firmly established in the fabric of IT staff operations as a necessary and growing ingredient of enterprise computing. Infrastructure-as-a-service (IaaS), the most basic form of cloud, is still a key building block, but it is rapidly being supplemented by additional services. Amazon Web Services (AWS), originator of large-scale public infrastructure self-provisioned by the user, is an example of a basic IaaS gaining layers of services on top. Database-as-a-service (DaaS) is almost a requirement for a competitive, large-scale supplier today. In addition, services such as real-time data streaming (AWS Kinesis) and an event-triggered software management service (AWS Lambda) become the building blocks of applications needing large-scale compute and storage to handle real-time customer interactions. While Amazon remains the market leader, it is increasingly challenged by Microsoft, with its large customer base of Windows developers and its Azure Cloud's strength in platform-as-a-service (PaaS). With PaaS, customers get a development environment on which they may build their next-generation applications. That environment then assists them in deploying those applications to the host's IaaS. How do you monitor the cloud? How do you forecast and interpret and understand your cloud service bill? 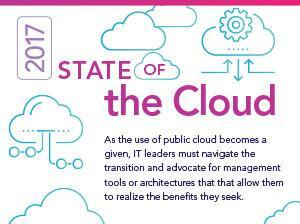 How do you make choices that make the most efficient use of the cloud? The cloud ecosystem includes a host of cloud service provider partners and third parties offering a wide range of services to help you address the above questions. Companies seeking to remain competitive in an e-commerce-based world are at the forefront of the shift to cloud. Their businesses demand the ability to handle big data and real-time events and the capability to respond with scale to a sudden escalation of traffic on a website. No matter your business model or industry vertical, chances are you've already made strides into the cloud and are looking at additional resources. With that in mind, we offer a roundup of 25 cloud-based options from companies large and small -- offering public cloud services, as well as cloud management and orchestration services. This overview is intended to guide you in your cloud journey, and is not meant to be a qualitative evaluation of the various offerings. The listings are in alphabetical order and include each company's Twitter handle for your convenience. Alibaba Cloud, also known Aliyun, offers an Elastic Compute Service that looks a lot like Amazon's Elastic Compute Cloud. But it is strictly Chinese-controlled and Chinese-managed. 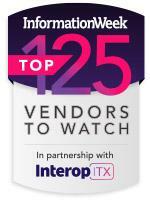 It is headed toward becoming one of the world's largest suppliers of cloud services. Amazon Web Services (AWS), originator of IaaS in 2006, is the largest cloud service provider by a margin of 6X. It offers services from 11 regional locations around the world, each with multiple, discrete data center units or "availability zones," each capable of serving as a failover site. Apptio offers a SaaS-based technology business management system designed to help IT organizations understand the cost of services being provided to the business. Apptio also has tools to monitor and measure the cost of the same IT services coming from the cloud. Bluelock is a regional cloud supplier based in Indianapolis, with data centers there and in Las Vegas. It offers VMware-oriented IaaS with a disaster recovery service that can supply recovery services outside the East Coast hurricane corridor. Offerings include the CloudHealth Platform for monitoring workload performance on AWS, which allows automation of some cloud tasks. Its tools also provide billing details that a generic Amazon bill lacks. CenturyLink is a telecommunication carrier that has started offering infrastructure cloud services through its acquisition of managed services provider Savvis and Tier 3 cloud services. It's placed an emphasis on Cloud Foundry development services in the form of its AppFog PaaS. It also acquired a NoSQL database system that is offered as its Orchestrate service. CGI offers IaaS along with professional consulting to help you move legacy systems into IaaS. CSC offers IaaS, but since its acquisition of ServiceMesh, it is increasingly focused on functioning as a cloud service broker. It will serve as a front-end for customers seeking to use its own or other public clouds. DigitalOcean is a New York-based cloud service provider oriented toward supplying low-cost service to developers, with rapid spin-up of a customer's initial container or virtual machine. Its infrastructure relies heavily on solid state drives for speed of operation. Dimension Data offers IaaS and a variety of other vertical platform-type services, including public cloud technologies to work with SAP and Microsoft cloud technologies. Fujitsu K5 IaaS is a relatively new secure, trusted IaaS oriented toward OpenStack, VMware, and bare metal operations. GoGrid, a pioneer in cloud computing founded by John Keagy, preceded AWS in offering a grid compute service before self-provisioning IaaS had been given a name. GoGrid was acquired by Datapipe in January 2015. Datapipe continues to operate GoGrid's specialized big data-oriented cloud service. The Google cloud consists of two parts: its App Engine PaaS, which is popular with startups, and its Compute Engine, IaaS. It is also noted for its container management system, which at its core is the open source Kubernetes system. IBM has said it is committed to a future unified OpenStack architecture, but hasn't combined the two parts under one umbrella yet. It is committed to establishing 40-plus global data centers. In mid-June, Joyent became part of Samsung, which was seeking a cloud service provider through which to offer enhanced mobile services. Where most clouds use Linux and Windows Server, Joyent uses its own open source flavor of Solaris called SmartOS and features an advanced container management system called Triton. Kaavo offers management tools to help IT handle virtual machine or container workloads across public, private, and hybrid clouds. After becoming available in beta the previous November, Azure was launched as a PaaS in February 2010, equipped with Microsoft software and tools. It was later expanded into IaaS and SaaS. It will host Linux and other open source code in virtual machines in multiple data centers around the world. New Relic offers application performance monitoring SaaS solutions for apps on-premises and apps in the cloud. Oracle Cloud now offers IaaS, PaaS, and SaaS. It's promising to give AWS a run for its money when it comes to pricing. Its SaaS includes a full complement of business applications. This up-and-comer offers tools for website management and container management. It's designed for websites built using Drupal or WordPress. Its container-based platform is built on a distributed, horizontally scalable infrastructure. Rackspace is now focused primarily on its managed cloud business, where the provider takes responsibility for both the server and the system running on it. But Rackspace also acts as a broker to the AWS and Microsoft Azure clouds as well as its own OpenStack public clouds. SAP Hana Cloud Platform offers a variety of services, but is geared mainly around a PaaS making use of the Hana database system-as-a-service and related development tools. Verizon entered the public cloud business the same time as CenturyLink, acquiring managed service provider Terremark. The company is emphasizing mobile services and public/private cloud, or hybrid, operations. 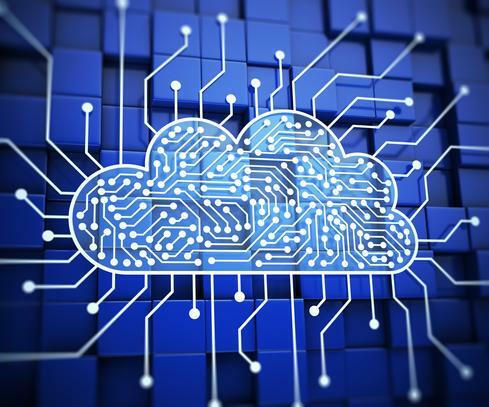 EMC's VirtuStream Cloud is an OpenStack implementation intended to fill the role of public cloud, private enterprise cloud, and a joint-operations hybrid cloud. EMC acquired Virtustream in 2015. VCloud Air is a matching environment for the VMware virtualized enterprise data center, but it is recast in a self-provisioning and virtual-networking public cloud format.